From March 11 to 14, we became the organizer of the meeting of the Working Group "Economy" in Salekhard in the framework of the International Forum ”Petersburg Dialogue”. 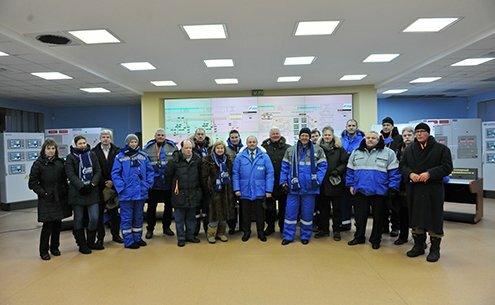 The trip was aimed at, according to the Chairman of the Board of JSC "Gazprom" Valery Golubev, the demonstration of the work of Russian people in the field of natural gas output to the international partners. The participants of the meeting we provided with transportation, accommodation, and meals. During the cultural program, which was also elaborated by our company, the participants got acquainted with the life of the indigenous peoples of the North, observed a harmony of industrial development and traditional way of life.